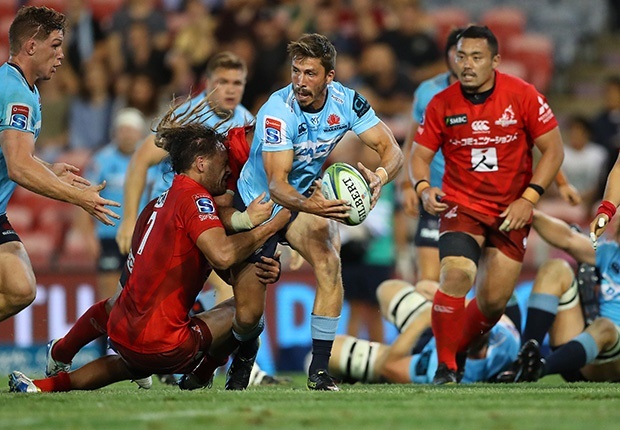 Sydney - Wallabies hopeful Jake Gordon has signed a two-year contract extension with Super Rugby's Waratahs as he pushes for a place in this year's Rugby World Cup. The 25-year-old scrumhalf, who made his Australia debut against Italy in November, said he wanted to "play more and more Test footy". "The World Cup is a pretty big goal of mine and something that I'm desperate to be part of," Gordon said. "But right now I'm just focused on playing the best possible footy I can at club level, and hopefully the higher honours follow." Wallabies coach Michael Cheika said Gordon had shown he was "ready to step up to Test standard on a consistent basis". "Re-signing with the Waratahs is a clear indication to me that he's committed to becoming a Test match regular," Cheika added. The Rugby World Cup will take place in Japan from September 20 to November 2. “Growing up in New South Wales it’s every junior rugby player’s dream to be playing for the Waratahs, to be living that dream is awesome,” Jake Gordon.